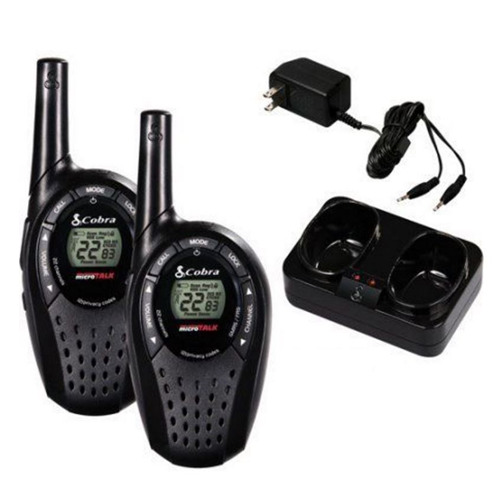 Features: The Cobra CXT275 2-way radios have up to a 20-mile range with 2662 channel combinations. Be prepared for storms and emergencies with built-in NOAA radio receiver. Voice-activated transmission frees hands for other tasks. Five selectable tones distinguish between different parties on incoming calls. 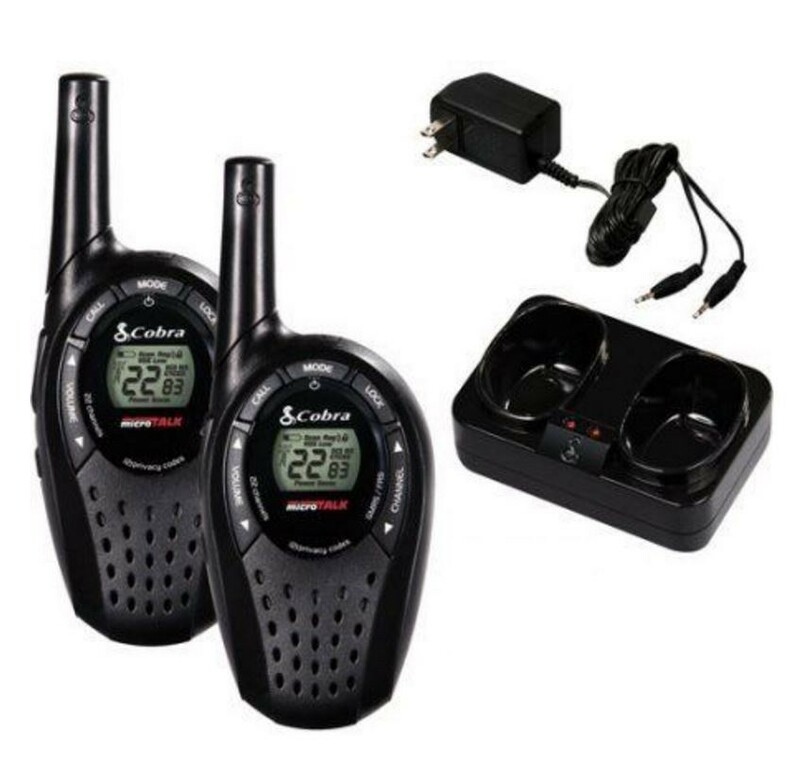 A dual port mini-drop charger and rechargeable NiMH batteries are included. They may also be used with AAA alkaline batteries.